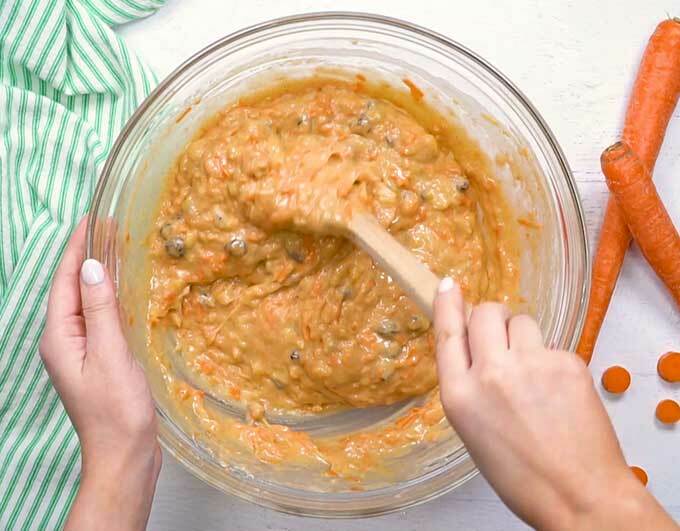 The Best Moist Carrot Cake – EXTRA moist because the cake gets drizzled with sweet glaze while it’s still warm then piled high with cream cheese frosting. This cake is one of my favorite desserts. The cake itself has bits of carrot, pineapple, and raisins. And, it’s lightly spiced with cinnamon. 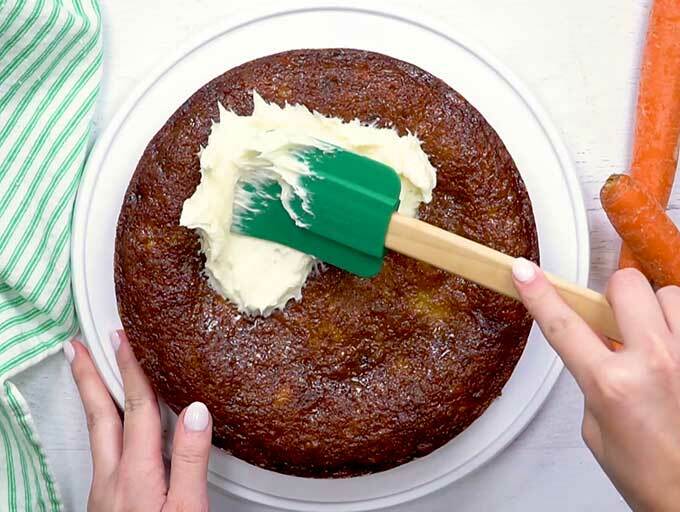 What makes this carrot cake outstanding is the glaze and frosting. 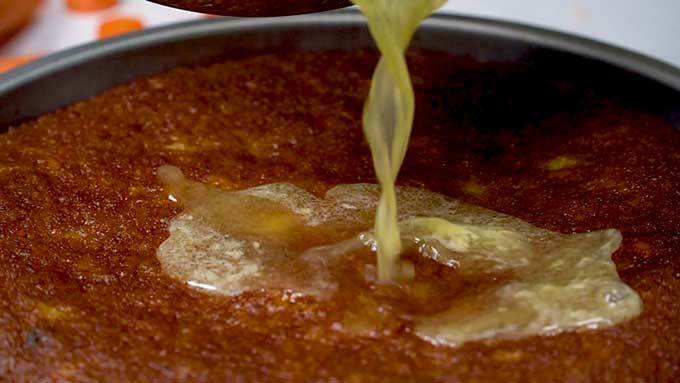 A sweet orange glaze gets drizzled over the cake while it’s still warm to make the cake extremely moist. Then, the cake get’s piled high with an extra large batch of cream cheese icing. 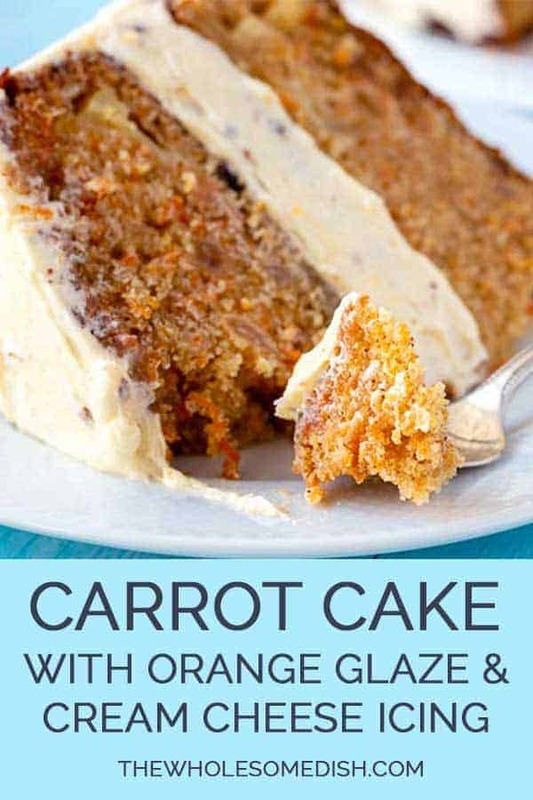 How To Make Carrot Cake. Add sugar, oil, and eggs to a bowl. Add grated carrots and crushed pineapple. In a separate bowl, add flour, baking soda, and salt. Stir to coat the raisins in flour. Pour the cake batter into 2 prepared cake pans. In a sauce pot, add orange juice, sugar, and butter. While the cake is still hot, drizzle the sweet orange glaze over the cake. Add room temperature cream cheese, butter, and vanilla to a large bowl. 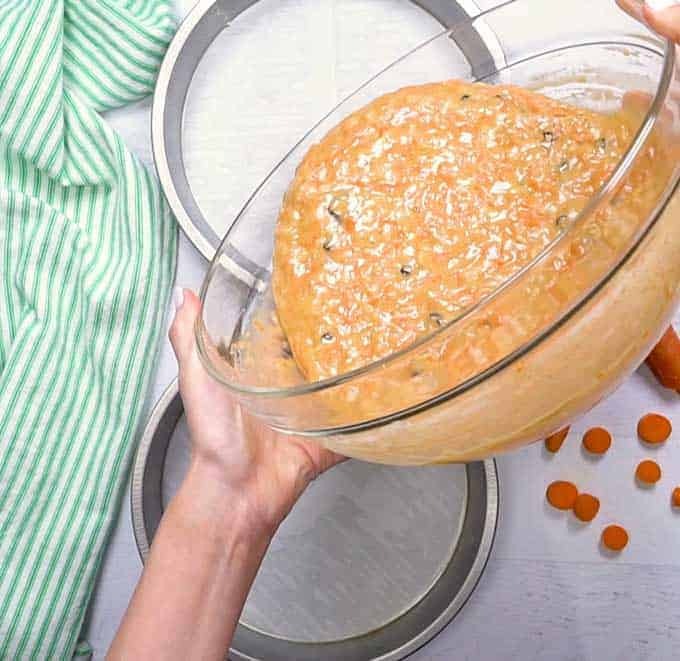 Use an electric mixer to beat this together. Spread 1/3 of the cream cheese frosting on one of the cake rounds. Top with second cake round. Generously spread icing on the top and sides of the cake. Chill in the refrigerator for 24 hours (or a minimum of 2 hours). Try these other decadent dessert recipes. 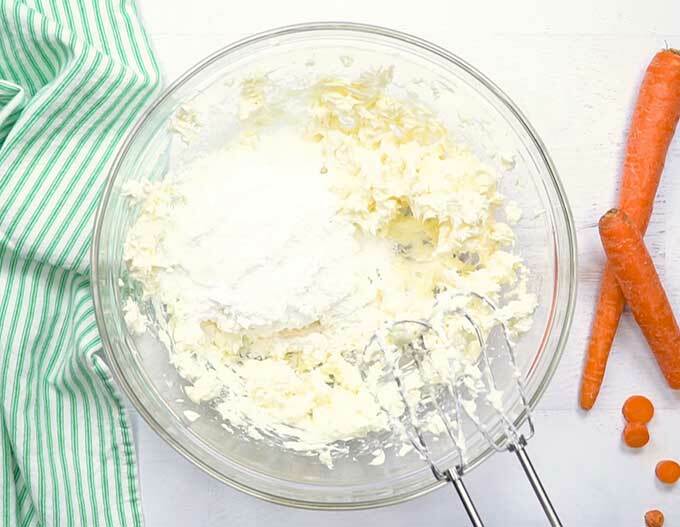 Watch the step by step video for The Best Moist Carrot Cake Recipe below. 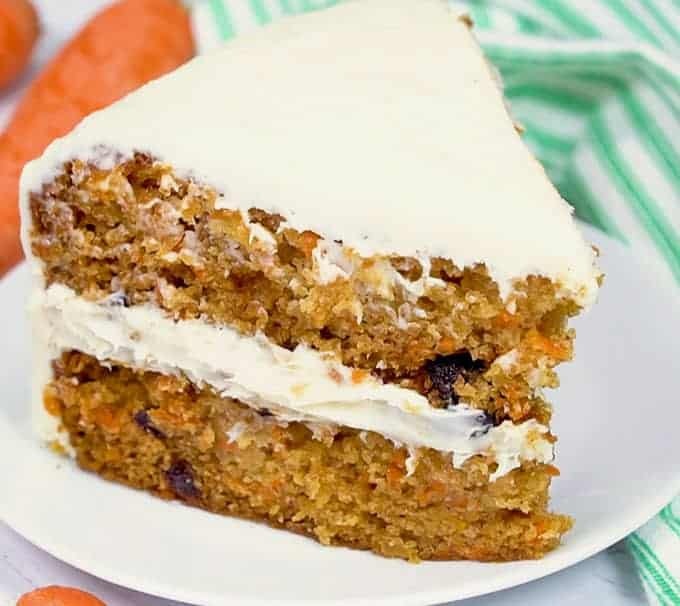 The Best Moist Carrot Cake - EXTRA moist because the cake gets drizzled with sweet glaze while it's still warm then piled high with cream cheese frosting. Preheat oven to 350 degrees F. Line two 9-inch round cake pans with parchment paper. Liberally grease the sides of the pans with butter. 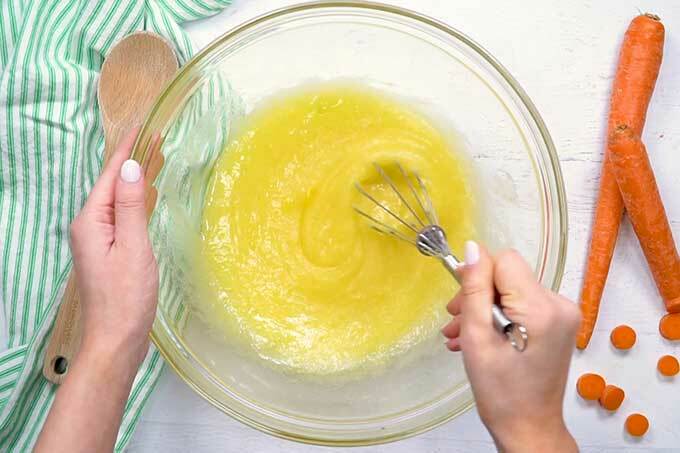 Add the sugar, oil, eggs, and vanilla to a large mixing bowl. Whisk until smooth. 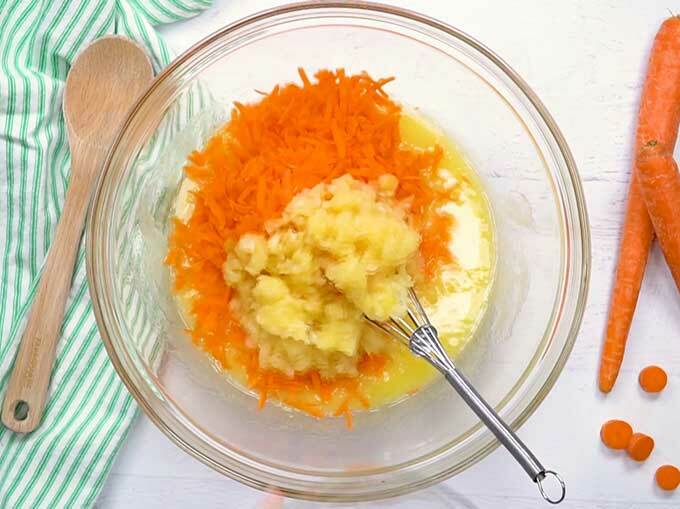 Add the carrots and crushed pineapple (with its juice). Whisk until combined. In a separate bowl, add the flour, cinnamon, baking soda, and salt. Mix well. Add the raisins to the flour mixture. Stir until coated with flour. Add the dry ingredients to the wet ingredients. Stir until just combined and no dry flour remains, trying not to over mix. Bake for 37-40 minutes. A toothpick inserted in the center of the cake should come out with moist crumbs, but no raw batter on it. As the cake bakes, make the Sweet Orange Glaze. Add the orange juice, sugar, and butter to a medium sauce pot and place it over medium-high heat. 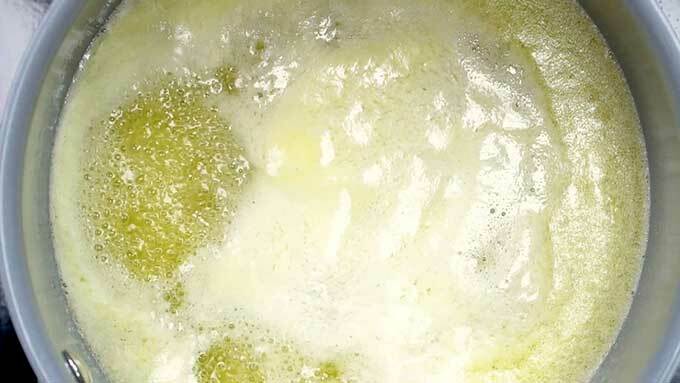 Cook, stirring often, until the butter melts, sugar dissolves, and the liquid bubbles for about 2 minutes. Slowly drizzle the hot orange glaze evenly over the hot cakes. Cool the cakes in the cake pans for 1 hour. Remove the cakes from the pans and transfer to a wire cooling rack to cool completely. Add the room temperature cream cheese, butter, and vanilla to a large bowl. Mix with a hand mixer or in a stand mixer on medium speed for 2 minutes, until well mixed. One cup at a time, add the powdered sugar. Mix on low until well combined. Repeat with the remaining powdered sugar. Mix on low to medium until well combined and the frosting is light and creamy. Place one of the cakes on a cake serving plate. Spread the top of the cake with a thick layer of icing, using about 1/3 of the icing. Place the second cake layer on top. Generously spread icing over the top and sides of the cake. Cover and chill in the refrigerator for 24 hours before serving for best results, or a minimum of 2 hours. *If you don't like raisins, you could substitute chopped walnuts or pecans. 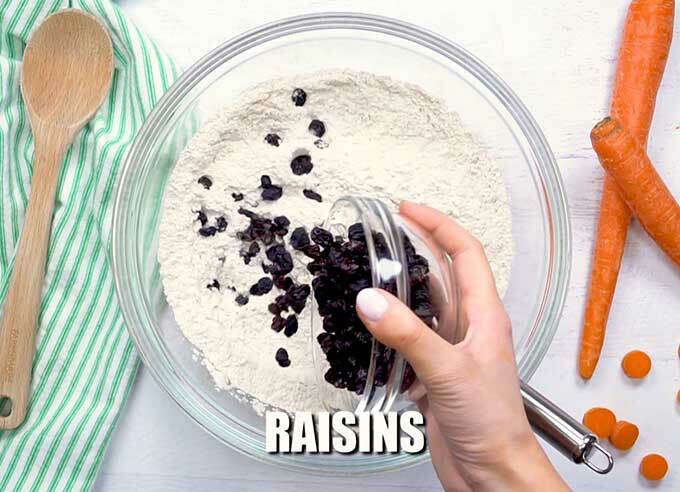 You could also use 1/2 cup raisins and 1/2 cup nuts if you like both. Is it even Spring without carrot cake??? This recipe is amazing! What can I substitute for the eggs, during this lentil fast? I was also thinking of substituting coconut cream for the cream cheese. Any advice?